An orthopedic surgeon is a surgeon who has taken additional training in the diagnosis and treatment of bone and skeleton-related problems. 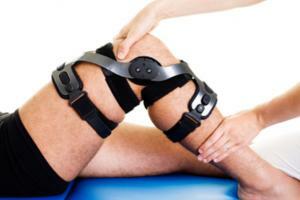 They can help treat patients with knee pain and various other injuries. Bracing and orthotics are specialties within the medical field involved with the design, manufacture and application of orthoses and braces. 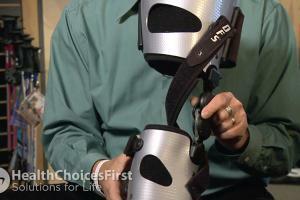 A bracing specialist can help you determine which brace is most appropriate for your knee pain. A radiologist is a physician who specializes in obtaining and interpreting medical images through x-ray, CT scan, ultrasound and MRI (magnetic resonance imaging). 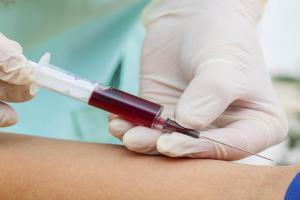 Any of all of these tests can be ordered by your doctor or specialist to assess your knee pain. Sports medicine physicians have specialized training in the field of medicine. They typically deal with sport or exercise-related injuries, including knee pain. A physiotherapist is a health care provider who uses non-invasive techniques to prevent and treat injury or dysfunction. A physiotherapist can help educate patients and treat their injuries, including knee pain, with a variety of treatment modalities. Conversation based on: Causes of Knee Pain " Eileen a 58-year-old female "
I'm wondering if there is anything this patient could have done earlier in life to have prevented this osteoarthritis? Reply to: Causes of Knee Pain " Eileen a 58-year-old female "
I use a neoprene brace with two good wrapping bands to support my knee during athletics or workouts. It gives me a fair amount of stability and some peace of mind too. I've seen a few people wearing some kind of supportive tape near joints. What is the purpose of that versus a brace ? Taping and bracing are both meant to support the joint in question, and usually meant to prevent future injuries. There are very differing opinions out there in terms of whether taping or bracing is more effective, and as to whether preventative taping or bracing helps prevent injury, or actually makes the joint more susceptible to injury. I would be hesitant to use taping or bracing without the advice of an athletic therapist or physiotherapist. What are the options for bracing in this type of situation, to help alleviate this woman's knee pain? Would wearing a knee brace help control her pain, and perhaps provide some stability during certain daily activities that could prevent further damage? Sometimes a simply stretchy brace can give support. I often wonder what the criteria is for braces. How do you effectively determine what type of brace is best ? This is a great suggestion, as proper support while walking is very important. Having the proper shoes will take some of the pressure off her knees. Great point @Jackson, and a physiotherapist can do a complete functional assessment to see if there are other issues that are contributing to her knee pain (whether it's hip or back-related, etc). A Functional Movement Screen (FMS) could be a good starting point if she can locate a kinesiologist or physiotherapist who is FMS-certified. Either during competition, during practice, or play where the kneecap slides to the side, and we call that patella instability or patella dislocation. Is patella instability or dislocation a diagnosis ? Or a symptom of the injury ? Hi Jackson, You are correct in assuming that Osteoporosis may occur in more than one place. Decreased bone density (like osteoporosis and osteopenia) are generally more global in their occurrence (i.e. throughout the body), whereas Osteoarthritis occurs in joints, and usually the weight-bearing joints. Osteoporosis and osteoarthritis are different conditions, and are managed differently. 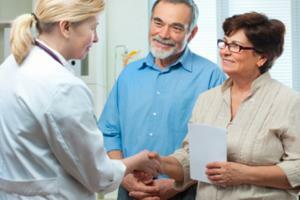 Checking in with your local GP is always a good idea if you are concerned. 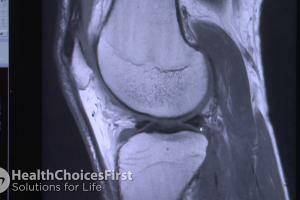 Is osteoarthritis usually limited to one joint ? Or do people find that it starts in one area and then spread ? @healthymama: yes, it is a realistic way to get a knee strain. If it happened just out of nowhere from walking, it's most likely not serious. Does she have a history of back pain? When mysterious pains in the extremities come out of nowhere, you always want to screen the spine to make sure it's not referring from there. If the spine is clear than the knee pain is possibly due to a strain at the knee. Walking in winter boots may have restricted her ankle mobility and in turn caused strain at the knee joint. Most likely the ankle would have been restricted in dorsiflexion (flexing the foot up) and in turn caused increased flexion (bending) at the knee joint. To reverse this strain, have your mom sit in a chair and straighten her knee to a full locking position repetitively for 30 repetitions. Hold 2 seconds at the top. Dr Wade is absolutely correct when he states that the patient receives the correct diagnosis. As he suggests there can often be several causes of knee pain, and too often when degenerative changes such as Osteoarthritis are seen with imaging studies, it is easy to assume that this must be the cause of the pain. Quite often this is not the case, and the real reason for not being able to walk without pain could be referred pain from the low back or hip, or other structures in the knee such as the patello-femoral joint or meniscus. Many factors could be contributory, such as over-pronation in the foot or ankle, weak hip muscles, compression of the lumbar and lower thoracic spine, as well as others already mentioned like being over-weight. The whole clinical picture must be considered to arrive at the correct plan for this patient, and knowing what the cause of the pain really is cannot be overstressed. If you are seeking physiotherapy intervention for knee pain, make sure your therapist, in addition to having your full history, does a biomechanical evaluation of not only your knee, but also your whole kinetic chain (foot, ankle, knee, hip, pelvis, low back). This will go a long way to developing a specific plan for your knee. A mechanical assessment of the knee would be helpful. Even though the x-ray shows arthritis, the patient has to be assessed clinically- movement testing on the knee and how movement affects her symptoms. Check how much range of motion she has in flexion (bending) and extension (straightening). Knee pain is commonly caused by the lack of end range extension of the knee. In our daily lives, we do a lot more knee bending then knee straightening (ie. sitting at a desk or car, squating down, climbing stairs) and therefore can cause us to lose end range extension. I have seen many people in my practice like this and they improve completely by addressing this lack of extension range. Regarding the weight loss- it is always better to be on the lighter side- For the sake of your joints and internal organ function. However, trying to lose weight while dealing with knee pain can be discouraging and frustrating. From the patient history, it sounds like her knee pain is provoked by weight bearing activities like walking and climbing stairs, so she should try exercising with non-weight bearing methods, like a stationary bike/upright bike. As long as she is cleared by the PAR-Q to exercise she can even start spinning classes which can burn a lot of calories. Biking will also strengthen the quad and glut muscles greatly which will in turn help to support the knee joint when weight bearing and with stairs. Sometimes when I exercise I can feel a "Pop" in my knee kind of like cracking knuckles. Any idea what this could be? @Theo_M: is the cracking painful? If so, how long does the pain last? If the cracking is not painful, it's usually nothing to worry about. The joints will crack if they need to 'clear' the movement or pass a restriction in the joint, and when this happens pressure is released and that's the crack you here. Trying to live a healthier lifestyle can help reduce the weight we carry around. By doing this there is less pressure on our knees, which in turn will reduce the stress on the joints which cause pain. When experiencing pain dealing with it naturally can be very effective and speaking to a medical professional can give us ideas on how to do this. Knee pain can be caused by a variety of issues like arthritis but like the Health Talk mentions excess weight can exacerbate the pain due to force. Eileen might also want to speak with a Dietitian or Nutritionist to see if there are small dietary adjustments that would support weight loss. A physiotherapist or personal trainer would also be able to give suggestions on exercises that would support her in her weight loss goals while being easier on her joints. @Carrie, that's really significant, that every 1 lb of weight gain can add four times the stress on the knees and cause further knee pain! I have knee problems and have since I was young. Physio has helped, but by not taking care of it I have started weakening other areas. My IT band is painful now, and I tore my ankle in 2013 because of weakness in my leg. My Orthopedic Surgeon explained that every pound put on is like adding 4lbs of force to my knee. And every pound lost is like taking 4lbs of pressure off my knee. When you carry 10 extra pounds its like 40 on your knee. If the patient has weight to shed, it will help very much to lessen the impact on her knee. That is a very good point. Even a small amount of weight loss can help alleviate knee pain. Weight can be a difficult subject for a healthcare professional to bring up. When doctors contact patients with articular cartilage problems in the knee they might swelling in the knee, pain, and limitations in function, and that can be in simple everyday activities, or it can be limitations in more advanced activities like sports and work-related function. Knee pain in women in their fifties can be caused by a sudden injury, an overuse injury, or by an underlying condition, such as arthritis. Treatment will vary depending on the cause. Symptoms of knee injury can include pain, swelling, and stiffness and in Eileen case overuse and the early onset of potential arthritis. My mother all of a sudden has some bad knee pain, which she says was caused by walking around the mall in winter boots? Does this seem like a realistic way to get a knee injury?? Being conscious about movement that puts stress on my knees helps me a lot. Example, not crossing my legs when sitting, I found that I do that from sitting on a chair with an inappropriate height. I overextend my knees quite often when sitting. I have to consciously change sitting positions to alleviate the strain I put on my knees. Tucking one leg under the other is something I do subconsciously. Over the last couple of years I have found this is causing stress on my knees. I find stretching exercises help with reducing the strain. I think about how I sit all the time too. In fact I have stared my son off on proper sitting positions already. I don`t let him sit on his knees with his feet out to the side in hopes of sparing them later in life! Does Aquafit give a good workout? I know it's good for avoiding knee pain but does it actually help keep fit? I was going to point out the same. Water aerobics (aquafit) would be a very good start. Perhaps a stationary bike? Recumbent bike? So that there is no extra pressure on the knee (the weight of the body is on the seat of the bike, not on the legs/knee). I was always under the impression that Ibuprofen was the better choice for knee pain vs acetaminophen. I'm glad I read this article as my husband suffers from knee pain from sitting too long in an office job. His doctor has warned him that it could turn into arthritis if he doesn't make some changes. Firstly with weight loss and then with some muscle strengthening exercises to further enhance knee support. My husband was experiencing the same issue and his doctor told him to start moving more and lose some weight. He also told him that stretching through out the day to get the blood flowing will help with stiffness and soreness.